Audience participation is one effective way to engage the audience in the contexts of music performance, presentation, and interactive classroom experience. 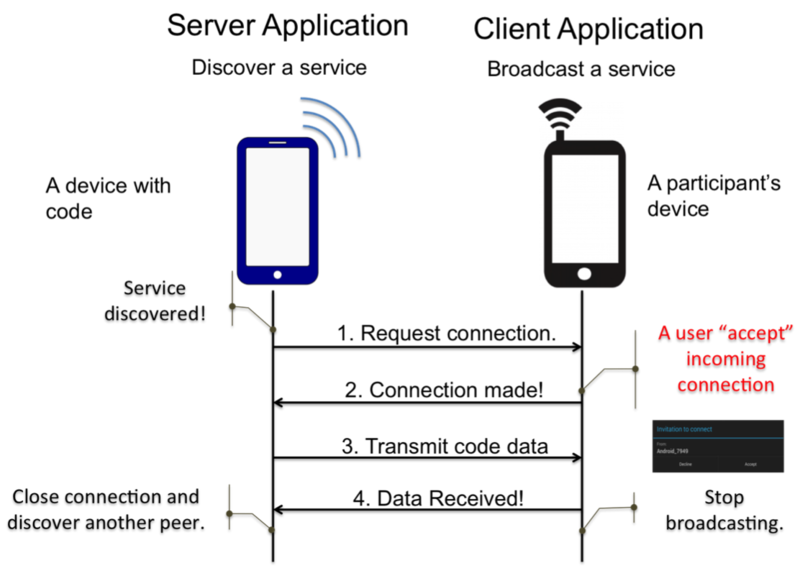 This work introduces a way to distribute mobile applications using mobile ad-hoc network - weakly connected over WiFiDirect with Service Discovery in the context of audience participation. The goal is to minimize user configuration so that the process is extremely accessible for casual smartphone users. Once the app is launched, the process of data transfer begins as stated above. When a participant launches the client application, the application tries to discover a service within the range of WiFiDirect covers (with ranges up to 200 meters). 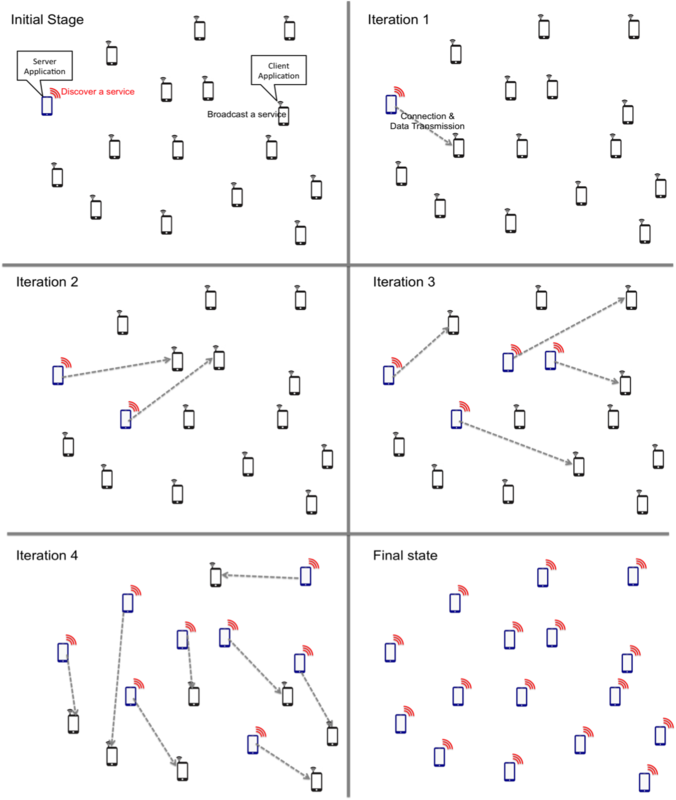 Once the server finds a service, it picks one of the devices that broadcasts a service and make connection automatically. The prototype app was developed in Android phones. The following video shows two iteration (1 + 2) of distributing mobile music app. Distributing Mobile Music Applications for Audience Participation Using Mobile Ad-hoc Network (MANET) (paper). Sang Won Lee, Georg Essl, Z. Morley Mao. Services that make it fruitful to create and edit documents on mobile devices. Much of today’s office work is done outside an office.